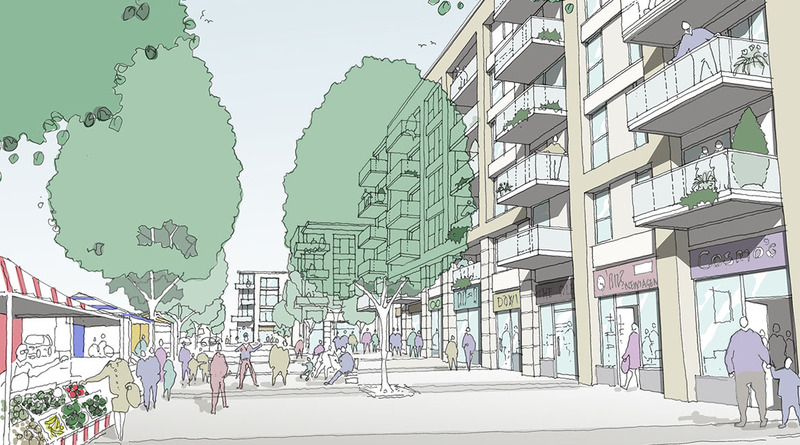 GSA produced the South Oxhey Masterplan and Design Guide in partnership with Three Rivers District Council, Home Group and Countryside Properties. The town centre currently suffered from poor quality housing, a high level of retail vacancy and a high crime rate. 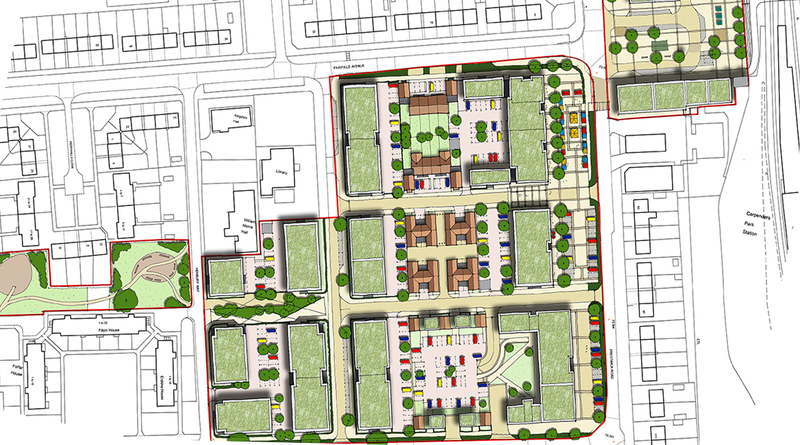 The masterplan maps out how the regeneration can take place, allowing the area to evolve into a thriving and successful mixed-use quarter around Carpenders Park Station. 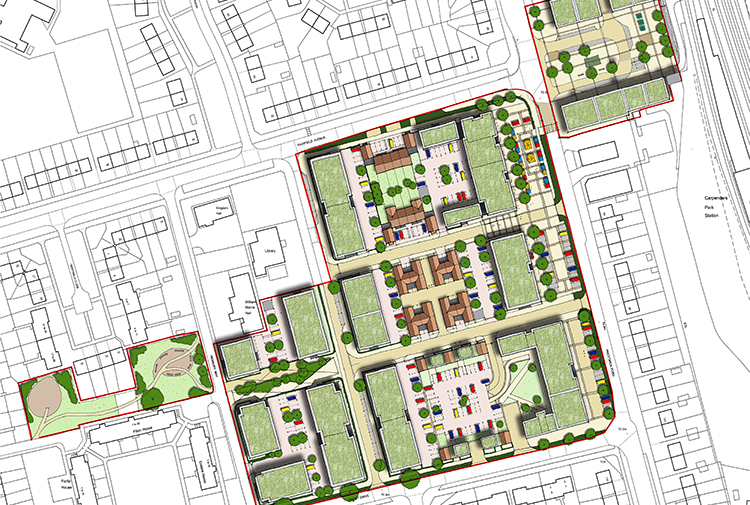 The masterplan co-ordinates the amenities and employment creation of the retail and employment uses, with a high quality residential environment, to create a new locale that is socially, economically and physically sustainable. 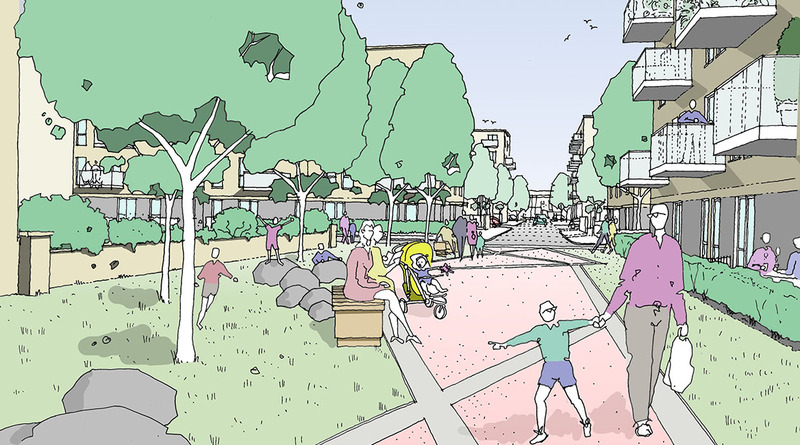 Aspiration, integration and community cohesion are underpinned by high quality placemaking. 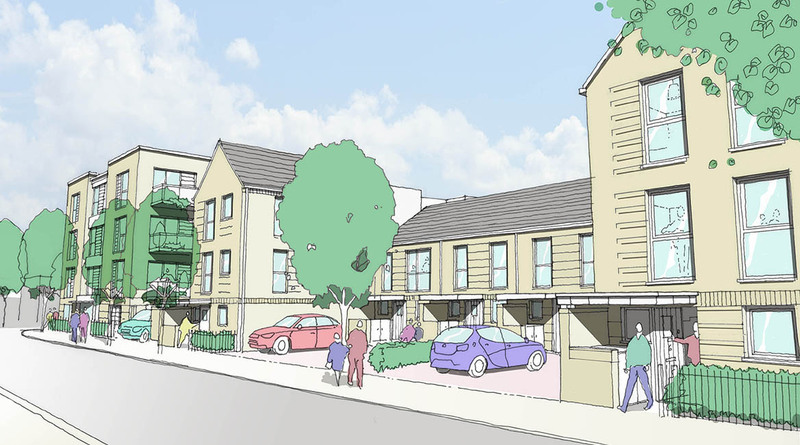 It was produced in consultation with key stakeholders including local businesses and existing residents. It offers a pragmatic, phased approach to delivery, within tight budget parameters. New Station Square design that welcomes visitors and creates a clear, pedestrian-friendly environment.